The economical reports continue its weakness today. As I have emphasized so much since the start of the month that studying the first week of every month, you will know how the direction of the month goes. For this month, enterprise report is in line with expectations but Public reports generally are less than expectations. This month direction should be sideway or down. S&P500 has been down 6 out of the past 9 sessions. Economical Reports is again the reason for the Dow to be down 50 points at mid day today in US. If not for the successful bond auction in Spain, Dow might have a triple digit fall today. It cushioned the poor economical reports today. 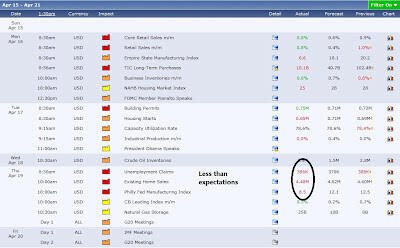 All 3 reports today, Jobless Claims, Philly Fed Manufacturing and Existing Home sales are less than expected. This is the trend for this month. There are more misses than beats. So don't expect the market or index to climb this month. But I am looking forward to next Wednesday FOMC meeting already. Ben Bernanke will be giving a speech. This week, there are lots of talking in Wall Street about whether Big Ben announce QE3 soon. Let us pay attention to him next week. I think over this weekend, Big Ben will speak also. Like what Prof Chan said, let us pay attention to whether he mention how enterprise is going to borrow money. If so, QE3 will be in the pipeline! 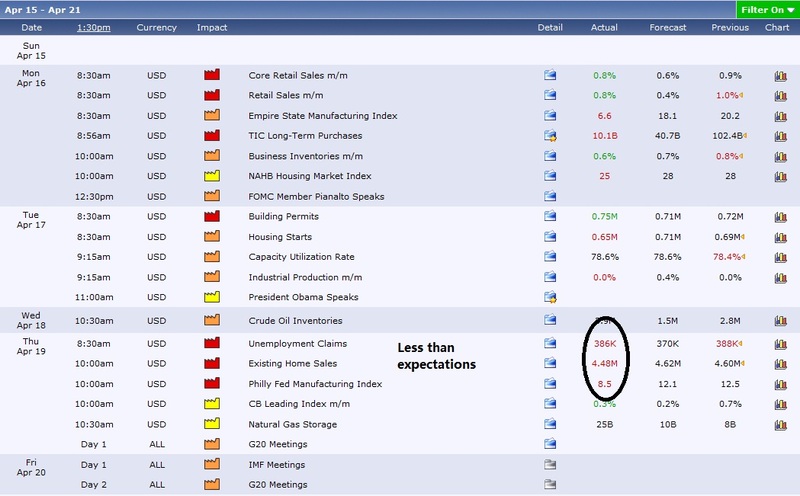 The recent slowdown and softening in the economical reports is an indication that there might be a QE coming. However the IRONY is that it is still not TERRIBLE enough that QE3 becomes a must.